I have been thinking about the Ferguson Uprising a lot – the conditions that led to it, what lessons have been learned, where the region is going, where the country is headed. My reflections on the Ferguson Uprising anniversary are still being formulated. Some days that clarity is sharper than others. After a couple of days with originator and animator of Fearless Dialogues, Greg Ellison, I feel all my senses have been heightened. The challenge made to participants submitting themselves to the fearless dialogue experience is: Are you ready for change? Fearless Dialogues was hosted by the Deaconess Foundation as part of its Just for Kids Community Conversations Series. The series kicked off in this past spring with the pearls of wisdom by the veritable Marian Wright Edelman. Fearless Dialogues is an organization committed to creating unique spaces for unlikely partners to engage in difficult and passionate conversations that hopefully lead to transformative change on individual and community level. Michael Brown became an unlikely martyr on August 9, 2014. When I ask people about what they think has changed since the police killing of an unarmed black teen, I hear a variety of responses and most aren’t that positive. What if we used the next year to truly engage in fearless and unflinching dialogues with those unlikely partners to plan a future where our children will thrive? We would build upon the stories and hopes of poor and working people, especially African Americans, since they are the most vulnerable human beings who should be our critical focus. Our mission would be informed by the reports produced over the last few years like, Forward Through Ferguson, For the Sake of All and Children of Metropolitan St. Louis that help us understand the scope of the problem. On the fifth anniversary of Mike Brown’s murder in 2019, we could recommit ourselves to some measurable breakthroughs using a racial equity lens in areas like health, education, housing and public safety. The alternative to not taking the best fork in the road is unacceptable. Given the hate-filled wannabe dictator in the White House, the incessant murders of black and brown people by cops and a few other combustible factors, we’re racing towards another Ferguson Uprising. This week, the Forward Through Ferguson organization will release a progress report on the 47 Signature Priority Calls to Action. The Calls to Action were part of the Ferguson report created through a region-wide community engagement process after the Ferguson Uprising. In my opinion, we really haven’t worked consistently and relentlessly in the way that would lead to transformative change, so I look forward to reading the report. 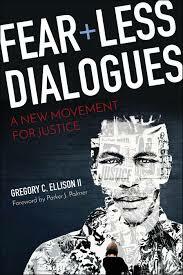 Is Ferguson ready to tackle the hard questions that are still bubbling just beneath the surface? Is America ready to embrace authentic and honest discussions about race and all its manifestations? Ferguson was America in 2014. Ferguson is America today and tomorrow. Unless something is spontaneously planned, it looks like there will be no big events on the fourth anniversary of the Mike Brown tragedy. This could be a time for quiet, sobering reflection for our community to look forward. We should seize the opportunity. Four years after the unthinkable police killing of Mike Brown and the volcanic eruption of accumulated anger and betrayals, the question we must ask ourselves and each other: Are we ready for change?